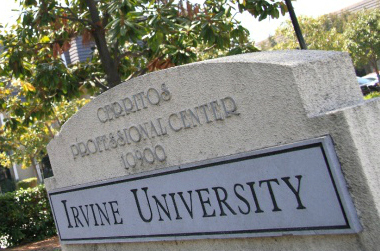 Irvine University is a member of the American Association of Collegiate Registrars and Admissions Officers (AACRAO). Institutional Membership with AACRAO provides professional development guidelines and voluntary standards to be used by higher education officials at Irvine University, regarding the best practices in records management, admissions, enrollment management, administrative information technology, and student services. The Law School Admission Council (LSAC) provides various services to law schools such as the Law School Admission Test (LSAT) that many applicants choose to take in the admissions process. 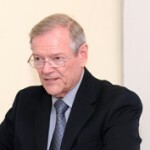 It also sponsors workshops and conferences for law school administrators, deans, and registrars. Irvine University College of Law takes part in LSAC sponsored activities. The LSAC Code for Irvine University College of Law is 4285. Irvine University has a chapter of the Alpha Beta Kappa Honor Society. Students who excel in their academic studies are eligible for membership. The Alpha Beta Kappa key is presented to members to recognize their achievements and potential for future growth. Integrity and Excellence are the by-words by which student scholars of Alpha Beta Kappa Honor Society are known. All students at Irvine University have the opportunity to strive for membership in this Honor Society while they pursue their academic programs in business, law and liberal arts. Upon nomination of the respective Dean of the College of Business, Law, or Liberal Arts and approval of the University’s Board of Directors, a student is granted membership into the Irvine University Chapter of the Alpha Beta Kappa Honor Society. Irvine University belongs to the Chamber of Commerce as an institution of higher learning serving the City of Cerritos and the greater Los Angeles community. Through the Chamber of Commerce, Irvine University provides members of the business community access to its educational services, trained researchers and graduating students who are available for employment.